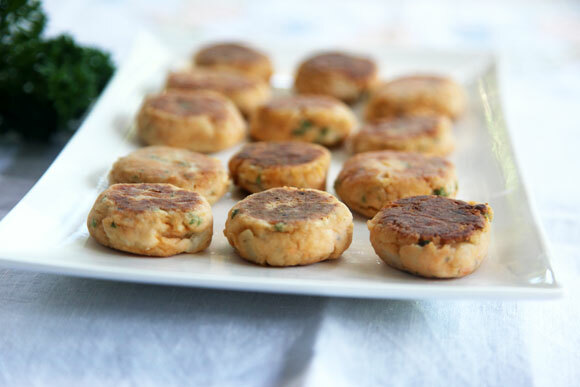 I grew up eating my mums salmon patties and they are a family favourite. They are so comforting and remind me of home. 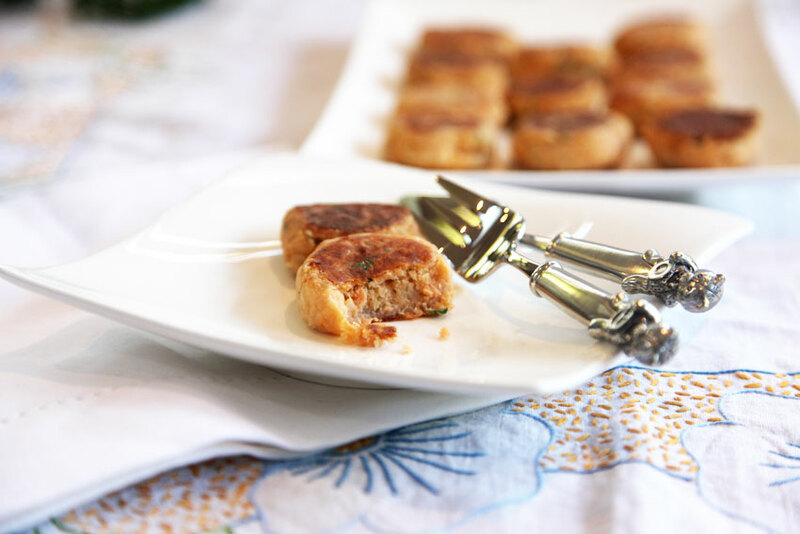 They are so simple to make and are a great first finger food for little folks. I have made these mini sized so they are easy for H to pick up. Tips: when H was really little I used to cook the onion (like in the recipe instructions below) but my mum never used to do this. I also don’t bother anymore. Just chop it reasonably fine and it will be tender enough from cooking them in the pan alone. Heat oil in a frying pan over medium heat and cook patties until golden brown. All the ingredients are cooked so you are really just trying to achieve a nice golden colour. Suitable to freeze. Once H was a little older I left the onion raw and it cooked enough in the pan alone. Try adding veggies like broccoli, grated carrot or sweet potato to the mix if you like.